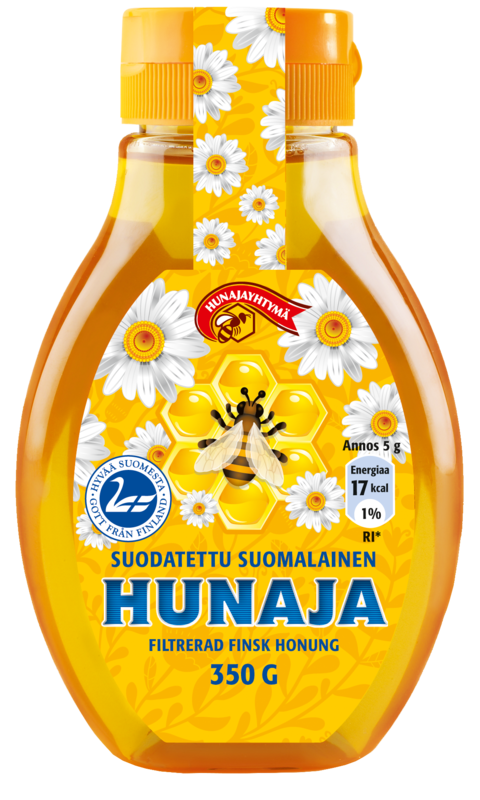 In Filtered Finnish Honey, the specks of pollen have been removed by filtering. This provides non-crystallized and pollen-free honey that remains liquid better than honeys do in general, and it also suits most people who are allergic to pollen. If the honey has started to crystallize it easy to make it liquid again by gently heating the bottle in hot water or by putting it in the microwave for a short moment.